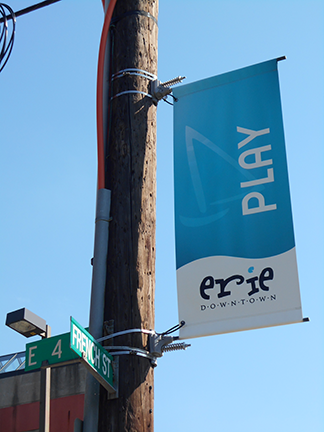 The expERIEnce Children’s Museum is located within the heart of the Erie downtown cultural and entertainment district and only a 5 minute walk away from the Lake Erie Bayfront. 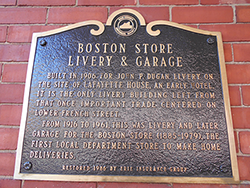 The museum is located within an historic building that was built in 1906 and that once operated as a stable livery. Large sliding doors and remnants of mechanical gears are still in place from the building’s past. 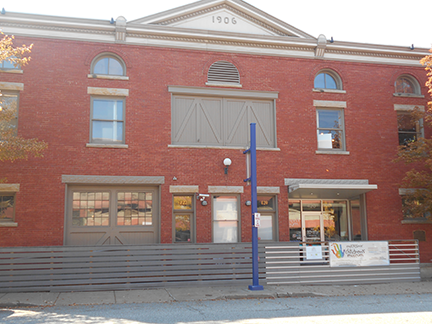 The Children’s Museum opened its doors to the public over 20 years ago and has now expanded to include exhibits on all three floors. The museum is open Tuesday through Saturday 10:00am-5:00pm and Sunday 1:00pm-5:00pm. The museum is closed on Mondays unless noted otherwise on the calendar. Please note: The museum will be closing at 1 pm on Saturday, August 3, 2019 to prepare for the annual Street Soiree Fundraiser. The museum will be closed on New Year’s Day, Easter Sunday, Memorial Day, Independence Day (July 4th), Labor Day, Thanksgiving Day, Christmas Eve and Christmas Day. We will close at 1pm on Saturday August 3, 2019. From I-90, take exit I-79 North. Travel North and follow signs to the Bayfront Highway. Travel the Bayfront Highway and turn right onto State Street. Turn left on East 4th Street. Turn right onto French Street. The Children’s Museum will be on the right side. Metered parking is available on 4th Street, 5th Street, State Street and French Street. Meters take quarters or download the meterEZ mobile parking app. There is a parking ramp available on 2nd Street between State St. and French St. and located next to the Hospital. A small family snack area, which seats up to 12 guests inside the museum is available for you to enjoy a lunch or snack you bring. Snacks and drinks are available for purchase from vending machines located in the snack room.Visitors are also welcome to enjoy a lunch or snack in the Outdoor Classroom. Admission is $7.50 per person for anyone ages 2 and older. Anyone under age 2 will receive free admission. expERIEnce Children’s Museum memberships are also available. Educational groups including schools, churches, summer camps, etc. receive discounted admission of $5 per person. 1 chaperone is admitted free per 5 children. Please call the museum’s education department at 814-453-3743 to learn about field trip registration, programming and more. 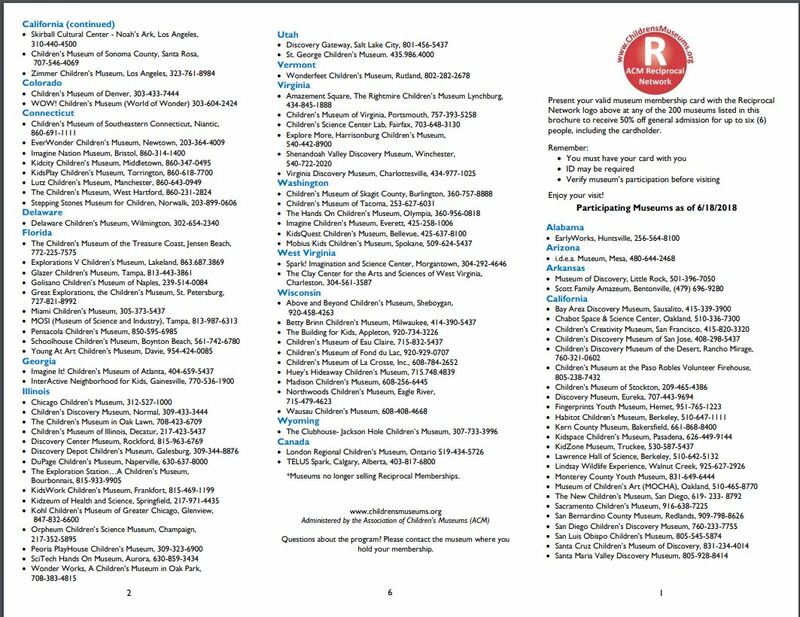 To receive Association of Children’s Museums (ACM) Reciprocal Network benefits, you must present a current Membership Card from an ACM reciprocal institution with the ACM Reciprocal Network logo on the card and a valid photo ID. ACM reciprocity will grant 50% discount on admission fees for up to 6 people that are listed on your institution’s membership. 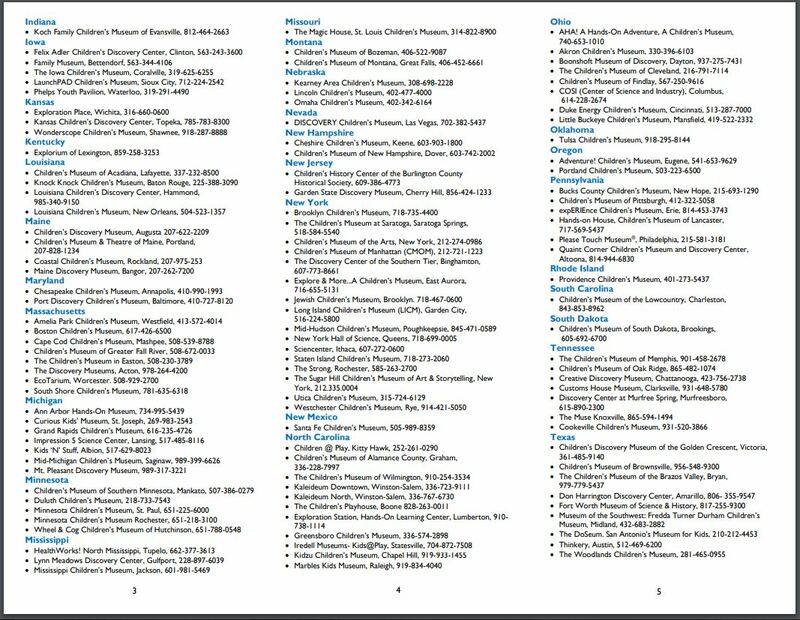 Please visit the ACM website for a complete listing of participating museums. Stop at our front desk on your next visit to the museum to check out one of our sensory friendly backpacks. 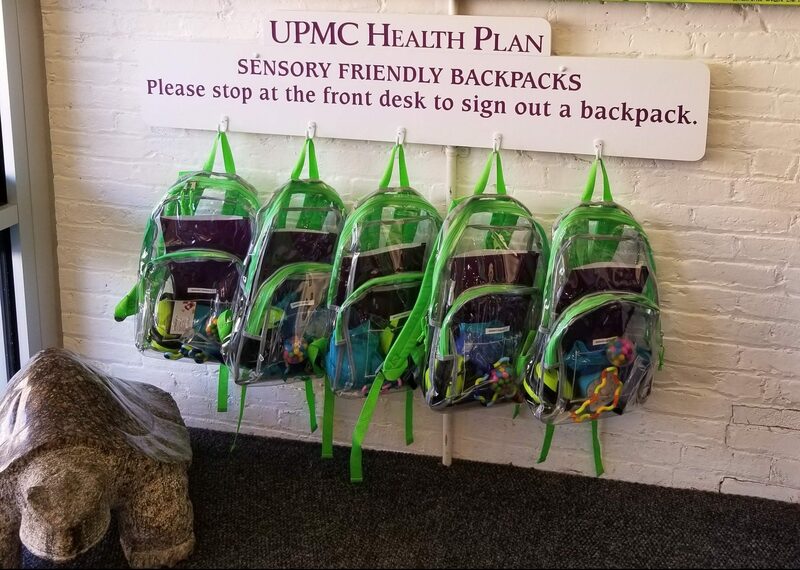 Sensory Friendly backpacks are made possible through a sponsorship by UPMC Health Plan. We are excited to offer Sensory Friendly Playtime dedicated to children diagnosed with sensory processing disorders. These special evenings give children with sensory processing disorders and their families an opportunity to have a fun and enjoyable learning experience in a comfortable environment. Thank you to our friends at UPMC Health Plan for their generous sponsorship of this program.